Vest getting too tight? Want to wear your leather vest over your jacket to show off your motorcycle patches? 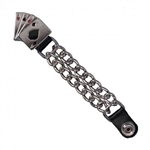 Get yourself some cool motorcycle vest extenders to extend the size of your leather vest. 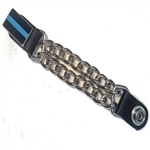 All our motorcycle vest extenders are made in the USA with genuine leather and quality parts and construction. 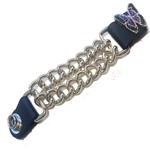 Our selection includes chain styles to fit womens & mens motorcycle vests. 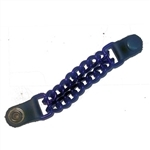 We also have snap or button vest extenders great for denim vests. Snap styles with emblems like skulls, military & buffalo nickels.